I was drawn to the shooting-starness of this lovely streambank wildflower, but it turns out it's actually a relative of the potato plant. 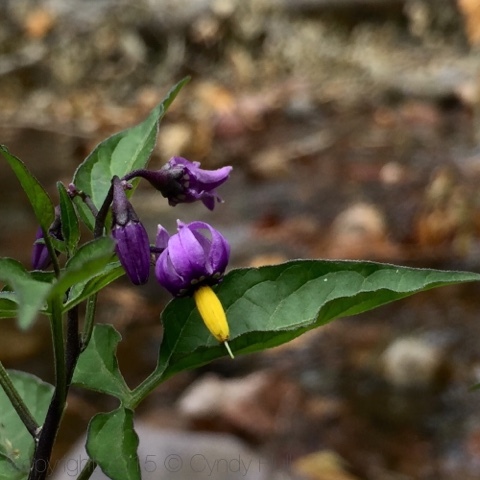 Common in much of the United States, this small purple beauty is known by many names - Climbing Nightshade, Bittersweet Nightshade, Woody Nightshade, European Bittersweet, Fellenwort, or Blue Nightshade. (For the scientifically inclined, it is classified as Solanum dulcamara.) Pick a name - any name! - it brightens a streamside ramble no matter what you call it.